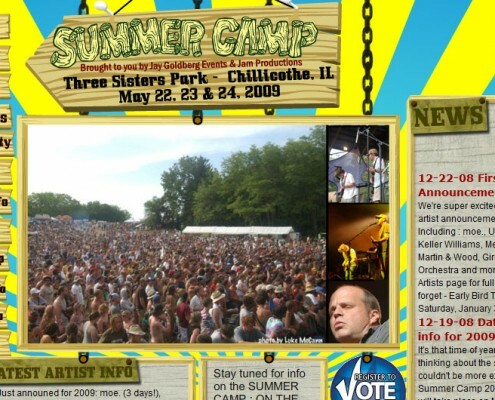 The Summer Camp Music Festival was started in 2001 at Three Sisters Park in Chillicothe, IL. Since that first year, the Summer Camp Music Festival has grown to more than 10,000 attendees, hosting more than 50 bands on 5 stages over 4 days. Almost doubling the population of Chillicothe, IL, for the weekend, the concert attendees also greatly impact the local business economy. 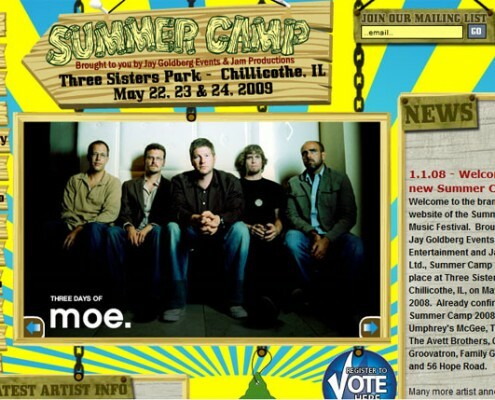 Artists that have performed at the Summer Camp Music Festival in past years include: moe., Umphrey’s McGee, , Widespread Panic, The Flaming Lips, Willie Nelson, Les Claypool, Keller Williams, O.A.R., The Roots, George Clinton & Parliament Funkadelic, Medeski Martin & Wood, Leftover Salmon and many, many more! 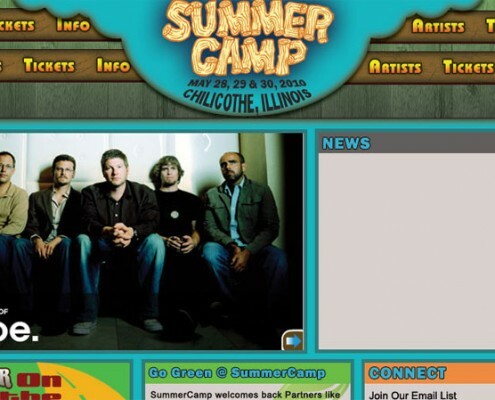 The Summer Camp Festival was a client for over 4 years. 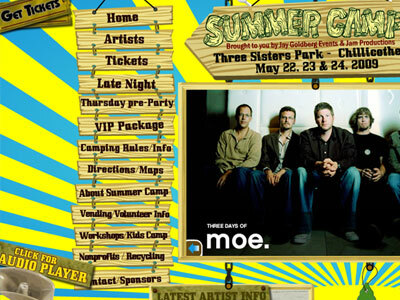 Each year Atomic6 created a new site design to promote the festival. Site designs were both animated Flash and WordPress driven sites.